Bongo drums are those very well know drums with open bottoms that you can play with your hands or drum sticks. 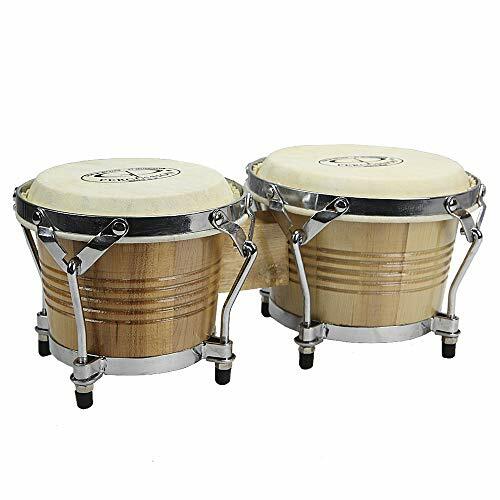 In this article, we are going to take you through our top 5 pick of the best Bongo’s available to buy online. This particular instrument is an excellent choice if you enjoy playing styles such as Afro-Cuban Jazz, salsa, and son Cubano. Of course, you will be able to play it with other genres as well. They are not to be confused with larger conga drums, which they are often played together with. It is famous for its distinctive tone and its contributions to musical ensembles that will stand the test of time. Meinl percussion are a brand well known for sound quality, durability, and aesthetical appearance. Our main bongo pick from this brand is the Meinl Percussion HB100VSB bongos. They come with hand selected buffalo heads that you can quickly tune in and stay within the tune during the playing. You will also get eight millimeters tuning lugs as well as black powder coated rounded rims for additional comfort during the performance. Due to remarkable acoustic properties, you will be able to enjoy in exceptional durability even if you are a heavy hitter. The shells come from Rubber Wood, which is environmentally sustainable and lightweight. The material will provide you deep resonating tones that will respond correctly at any sound level. Even though they come with an expensive price tag, you will be able to use it in professional settings without any additional hassle. 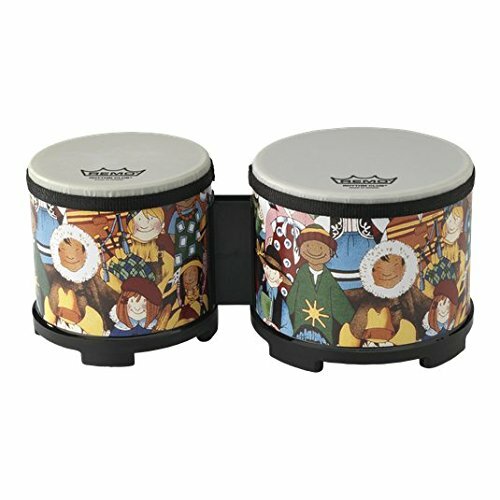 Remo RH-5600-00 bongo drum is an excellent solution that will provide you both high and low drumhead pitch which will increase the ability to use it along the way. It comes with exciting and appealing Rhythm Club graphic. It is durable and constructed from black molded rubber base, acoustic on shells, and you will be able to use it for years after purchase due to its great quality. It is great for both young and experienced drummers that would like to transit to world music genres and styles. Due to the plastic head, you will be able to rest assured, because it will not fluctuate in pitch with humidity and temperature changes, which is a common problem among other bongos that you can find on the market. 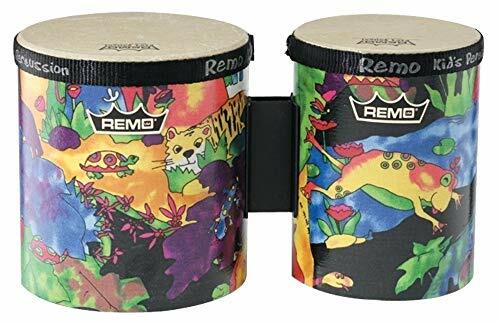 If you wish to find entry-level bongo drums that will help you learn your playing style and improve your playing perspective, you should also consider the Remo KD-5400-01 bongo drums. It is an excellent choice that will provide you peace of mind when it comes to playing. 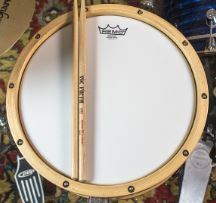 It features Skyndeep pre-tuned drumhead that you can pitch is at high and low as well. The drum heads look great too. If you wish to hear how they sound, you should watch this video! Tycoon Percussion Ritmo Bongos are a great solution if you are willing to spend more money than other bongos we have mentioned above to get the professional ones that you can use for both home playing and recordings. 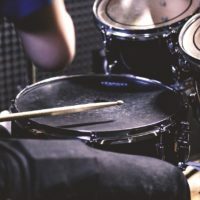 Even though they are basic when compared with more expensive choices, it is an excellent choice for beginners to understand how real bongo function and how to play it in overall. When it comes to entry-level bongos that you can find on the market, Tycoon Percussion is one of the most prominent names. They come with high-quality construction when compared with other bongos within the price range. You can choose six and seven-inch drums based on your preferences. The aesthetical appeal of this particular set is impressive, and skins feature great texture and natural color. Powder coated black tuning hardware is also great and will stand the test of time. 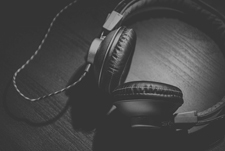 It is important to hear how they sound, and you can do it on this particular video! 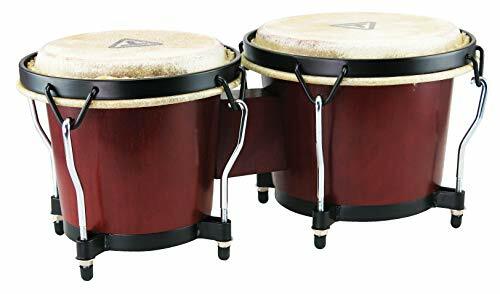 If you wish to find a budget-friendly set of bongos that you can use along the way, you should consider GP Percussion B2 Pro-Series bongo drums. It is an excellent solution that you can find in two sizes which as six and seven inches. The best thing about it is that you will be able to enjoy natural hide heads and Hickory shells. The overall weight is 6.4 pounds, which makes it highly lightweight so that you can take it wherever you go. It comes with four tunable lugs per drum as well as tuning wrench that will help you do it with ease. Have in mind that this particular bongo drum set comes with Nickel-plated rim as well as cast base rim for additional durability. None of the Bongo’s on this guide should break the bank. Even great quality ones are often quite affordable. 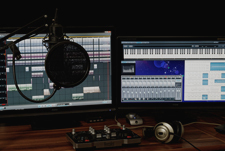 Material – You should remember that different materials would provide you a distinct sound as well as different playing experience. That is why the material should be your first consideration. One of the best materials for bongos is wood, and Oakwood is a common choice in Cuba where bongos are a fundamental part of music. Modern bongos can also come from more expensive wood solutions such as mahogany. The ones with wood will allow you to get a deeper sound, while other models that come from heavier woods will provide you sharper tones. On the other hand, ceramic bongos will also provide you distinctive shape and sound. The main reason for their popularity is the lack of reaction to environmental changes such as temperature and humidity. A new consideration is metallic bongos that will produce a sound similar to a snare drum, but they are not quite popular among musicians. 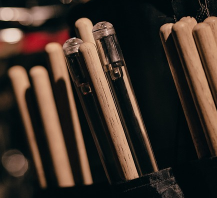 Synthetic or Rawhide Heads – The type of head on your bongo drums also makes a significant difference to the sound. For many years, people were using rawhide heads. If you wish to find this particular type of bongo, you have to check whether the skin is colored or not. The quality of sound depends on the kind of head you decide to choose. When you are using rawhide heads, you should pay attention to the weather, because in a humid and warm environment, the hide tends to tighten, which will produce a higher pitch than you wanted. On the other hand, synthetic heads are a more affordable choice that will not get affected that much by humidity and warmth. We have presented you comprehensive reviews and buyer’s guide on best bongo drums that you can find on the market. Of course, everything depends on factors such as your playing style, hitting strength and other considerations that you will learn along the way. High-End Option – Meinl Percussion HB100VSB bongos are the best choice that you can make if you wish to get a high-end model that will provide you professional sound, feel and perfect solution that will help you along the way. Even though it is expensive when compared with others, you will get exceptional durability. Budget Option – GP Percussion B2 Pro-Series bongo drums are the most affordable choice on this particular list. They come with high-end wooden shells as well as rawhide heads so that you can get the real feel of traditional bongos. 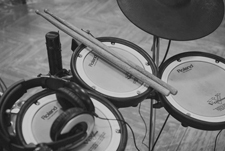 It is great for both novices and professional drummers.